They are still high but you have carried the old errors forward. You will have to re-boot or power cycle your router till you clear the old errors to give a true picture. As Ian the enemy says, plug into the test socket. Thanks folks, but does it matter that I don't have one of the single sockets? As per the picture in my first post, I have one of the dual face plates already fitted. 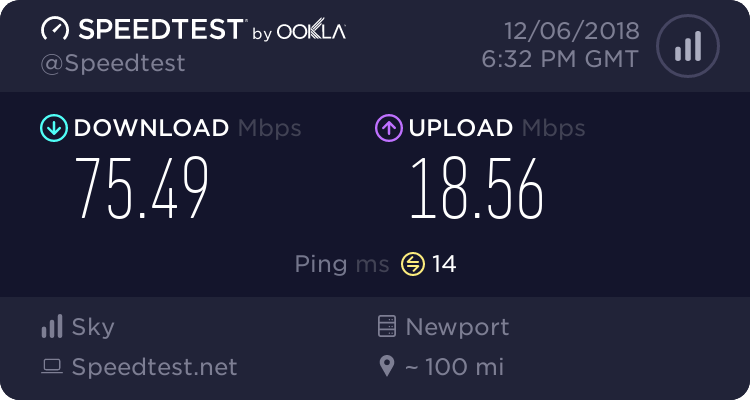 With regards your speed tests, you can get a big difference on 2 tests taken close together. 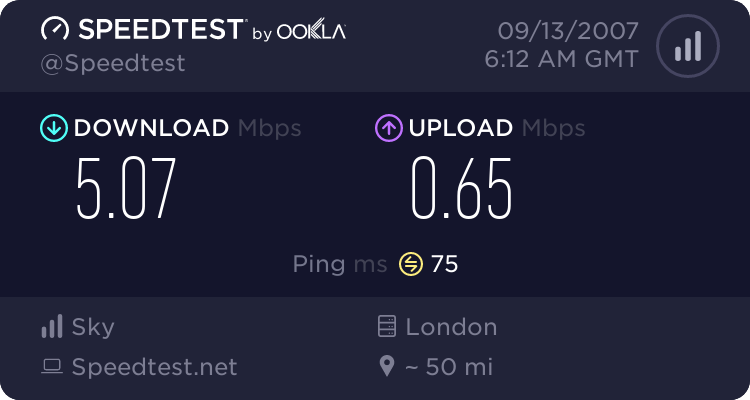 Apart from that, your tests are taken from different servers, I always find London to be faster than Maidenhead and sometimes Paris is faster than both these. If you have an ADSL filtered faceplate, plugging into the test socket will make little or no difference, in fact it could make it worse if the filter you use is not 100%. Wouldn't it just simply just not work if it was wired wrong? If it is the type of plate with ADSL terminals at the rear and these are used for the phone extensions, this would have a bad effect on ADSL. This is unlikely though if the person who fitted the plate followed the instructions. It is also possible that the wiring to the extensions has been connected direct to the rear of the master socket and not to the terminals on the faceplate. Looking at the photo in post no 9, it appears in this case, that there are extension wires fixed to the back of the socket instead of the face plate. This would be incorrect, but it could just be spare wires in the Cat5 cable which have been tucked out of the way. If your Master socket faceplate is exactly the same as the one in your 1st post, I would advise changing it for a newer model. I may be wrong but this looks like the original type fitted by BT, which are not quite up to today's standard. I think what I'll do is (for the sake of a £10 faceplate) is get one of the ones these: ADSL Nation On-Line Shop and see what happens. I would agree, if you are going to do it, go for the XTE-2005 When you are ordering, get one of THESE the disposable one is only a few pence and makes refitting the wires much easier.